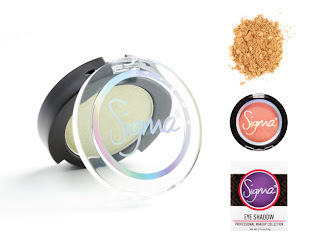 The long awaited arrival of Sigma's makeup line is now here. Repackaged and reformulated. Brow powder duo and individual shadows are now available. Shop now and get 10% off on all purchases $30 or more using code: JAN2013 and also receive a complimentary gift! Choose from 30 unique eye shadow shades from the Bare, Dare, Flare and Paris Palettes. The low price point allows customers to pick and choose their favorite shades and build their personalized collection of Sigma shadows. What: 30 individual shades from the Bare, Dare, Flare and Paris Palettes. Finishes include matte, sheen, duo-chrome, frost, dimensional frost and glimmer. Due to high demand, we developed a collection of new individual brow products. The Dual-ended Brow Pencil (medium/dark), Dual-ended Brow Highlighting Pencil (matte/shimmer), and Dual-ended Brow Gel (clear/tinted) are favorites from the Brow Design Kit. For those who already own the Brow Design Kit, you can purchase the individual products to replenish your kit when your favorite component runs out! If you do not own the kit, this is also a great opportunity to choose the elements that you want to try. The Brow Powder Duos are ALL NEW! You can now select the shade that is perfect for you! Choose from Light, Medium Dark and Auburn. 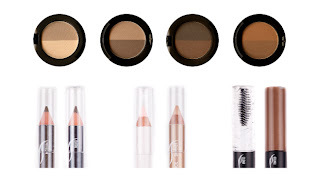 I am most excited about the brow powder duos because I had not yet purchased the brow kit. I have the Paris Palette and LOVE the shadows. I do foresee myself buying some individual shadows as well! Will you be purchasing any of the new products? If so, which ones?